Your typical 100% cotton t-shirt (except for heather colors, which contain 10% polyester). Pre-shrunk to make sure your size is maintained throughout several washes, and a classic fit. True to size. 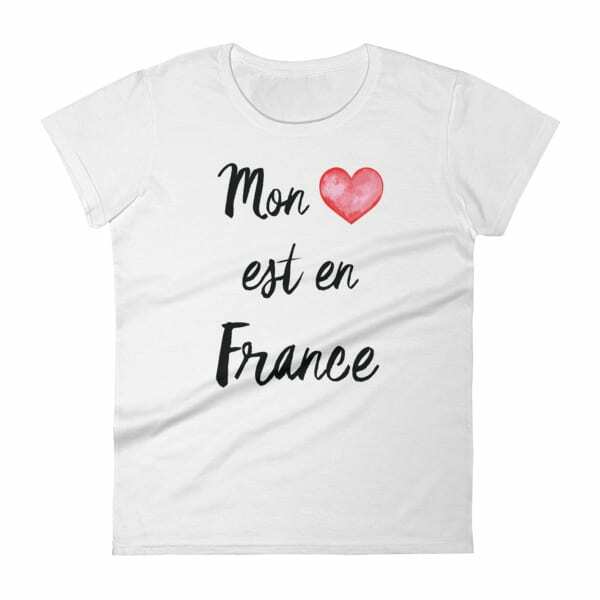 The writing is black with the same red watercolor heart used in my baguette design. 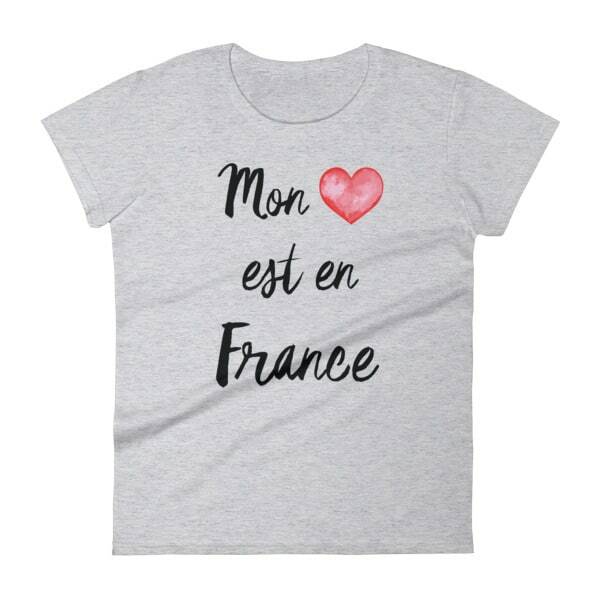 It says "My heart is in France" in French.